OMAHA, Neb. (AP) — American sorghum farmers fear they will lose their largest export market if China follows through with a tariff on their crop. China imposed preliminary anti-dumping tariffs of 178.6 percent on U.S. sorghum this week as part of its ongoing trade dispute with the U.S.
President Donald Trump has threatened to raise tariffs on up to $150 billion of Chinese goods to counteract what he says are that country’s unfair trade policies. Sorghum farmers like Don Bloss in southeast Nebraska are caught in the crossfire. Bloss said the tariff news isn’t enough for him to change what he plants this year, but farmers will have to adjust if the tariff is enacted. “We can’t make real quick decision,” he said. It won’t be easy replacing the Chinese market. Last year, Chinese buyers purchased more than 90 percent of the 245 million bushels of sorghum America exported. “Basically, this will shut off grain sorghum exports to China for the United States,” said Mark Welch, an agricultural economist at Texas A&M University. 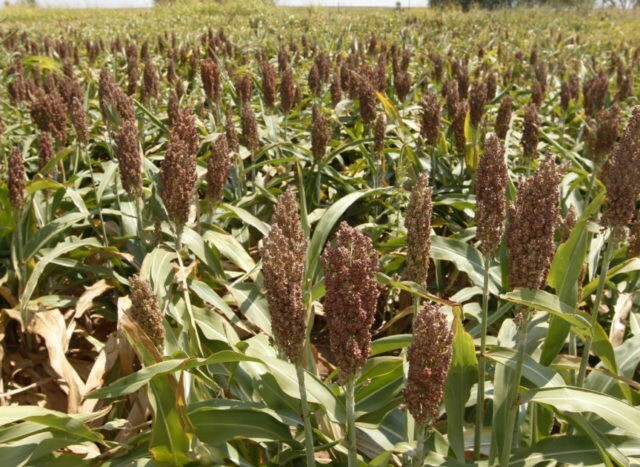 Sorghum, which is used primarily as animal feed and in liquor distilling, is grown in crop rotations with corn and in areas where conditions are dry because it is drought tolerant. But it is a smaller U.S. crop, grown on about 6 million acres compared to corn and soybeans, which will each be planted on nearly 90 million acres this year. Both U.S. Agriculture Secretary Sonny Perdue and the National Sorghum Producers association said they may challenge the tariff. “Our sorghum producers are the most competitive in the world and we do not believe there is any basis in fact for these actions,” Perdue said. A spokeswoman for the sorghum producers trade group said sorghum prices fell 20 to 25 percent after China announced in February it was launching an investigation into the sorghum trade. Prices declined again this week. In the long run, Bloss said he believes farmers will find a new market for their sorghum, whether that’s other export markets or ethanol producers. Having lived through the effects U.S. tariffs on Russia had on grain markets in the 1980s helps give the 69-year-old Bloss confidence. “There’s going to be market opportunities out there,” he said.